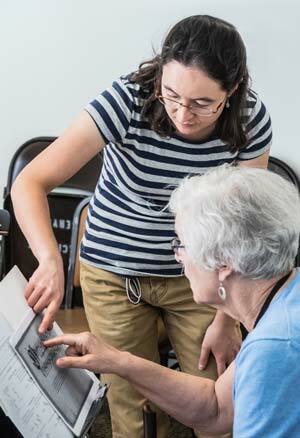 "I came away with solid learning and delightful memories." "I thoroughly enjoyed this workshop. The faculty are uniformly excellent and I learned a lot." "Thank you for a really extraordinary week. Unforgettable." 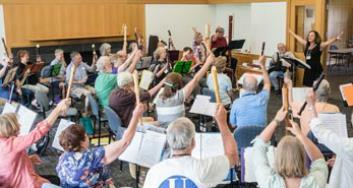 The Seattle Recorder Society’s Port Townsend Early Music Workshop at the University of Puget Sound offers an opportunity for players of recorder, viol, and historical winds to study with stellar faculty while learning music of the Middle Ages, the Renaissance, the Baroque, and the 20th century. 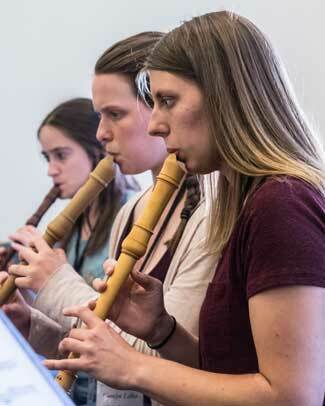 Classes this year will span music of the Middle Ages, Traditional World Music, Symbolism in the Renaissance, Spotlight on Van Eyck, Ornamentation in the Baroque, the Language of Jazz, and Contemporary. 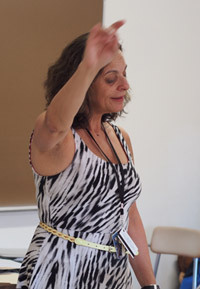 In addition to morning classes that focus on improving technical skills, our splendid faculty will be teaching topics in their unique area of expertise. 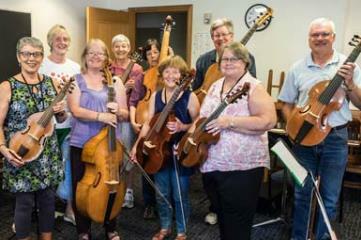 While there is always a place for less experienced players and those who consider their technique rusty, most classes are for players with reliable technique and reading skills. After we receive your registration form and deposit, you will be sent the 2019 Curriculum Guide with course descriptions of all of the classes. You will be asked to choose among the many offerings. 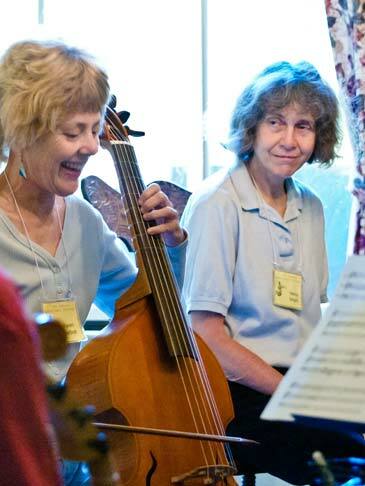 Viol players will be grouped into small consorts of compatible levels (according to their self-evaluations) with one of these faculty members: Alexa Haynes-Pilon, David Morris, Mary Springfels or Sarah Mead. Content and repertoire will be decided by the faculty. 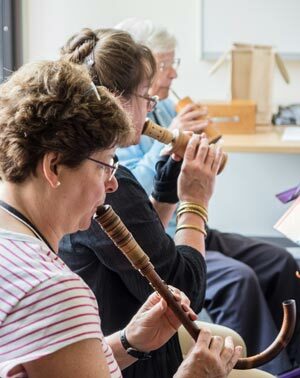 Recorder players will be grouped into small consorts of compatible levels (according to their self-evaluations) with one of these faculty members: Miyo Aoki, Cléa Galhano, Charles Coldwell, Sören Sieg or Vicki Boeckman. Content and repertoire will be decided by the faculty. We'll master metric modulations, cross-rhythms, unusual meters and subdivisions. 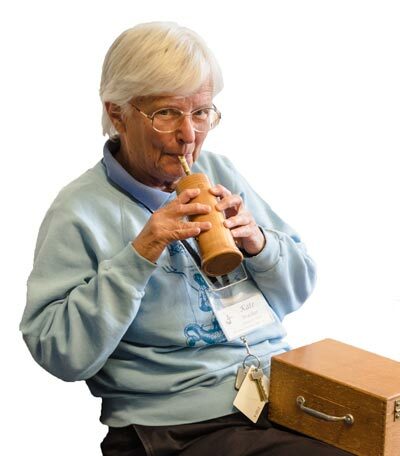 In addition to vocalizing rhythms, participants can use their instrument(s) or try their hand at percussion (no experience necessary). By the end of the week you'll be able to walk, chew gum, and tap three against five all at the same time, guaranteed! No composer of the 16th century was so widely-recognized or so prolific as Rolande de Lassus. He was fluent in multiple languages and could move easily between the musical styles and tastes of the many countries he visited in his service to the Duke of Bavaria. We will enjoy a sampling of his secular works, from exquisite chansons and madrigals to raucous drinking-songs and pastiches, as well as the brevity of his shortest mass and the grandeur of a polychoral motet. Singers, please remember to indicate your vocal range. 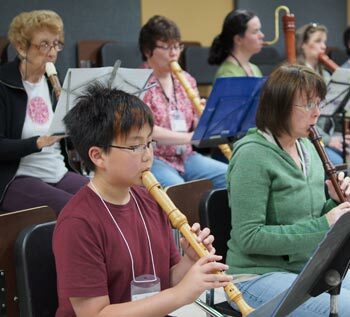 This class welcomes recorder players of sopranino through contrabass – or lower, if you have one. The repertory represents a broad spectrum of music history. 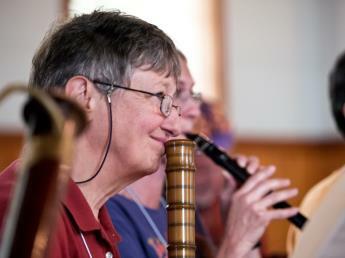 Under consideration are works of Purcell, Mozart, and Brahms as well as some modern works for recorder orchestra. The orchestra will perform at the Saturday morning concert. Composers were surrounded by animals—whether it be animals owned by their noble patrons, or animals roaming in the wild—many composers were inspired by animal sounds and imitated them in their compositions. Come explore these delightful works by Janequin, Le Jeune, Senfl, and others. Music in Brazil has been influenced by many different things and people all over the world while influencing other culture’s music along the way. Although numerous cultures have fed into the mainstream music of Brazil, different areas in Brazil seem to have been influenced by certain cultures. A few of these prevalent and influential countries include Africa, Portugal, and some European. In this class we will work different styles of Brazilian music that represents all the influences from Africa, Portugal and France. Charles Coleman’s Graces and Relishes applied to English Ayres and dance music. Graces, simple and complex commonly decorated the airs and dance music of Christopher Simpson, Matthew Locke, and John Jenkins, yet we rarely apply them to this music today. You will learn to execute slides, backfills, relishes and bowed graces, in order to properly adorn your music with these delightful ornaments. What happened to the polyphonic tradition after the end of the Renaissance, when musical styles changed so utterly? It didn’t die out— it just found a new home, mostly in sacred vocal music. We will discover all kinds of hidden gems that feel both familiar and new, by composers as various as Correa, Casals, Hugo Distler, Brahms and Nielson. Experience lots of luscious and lovely works perfectly suited to our forces. 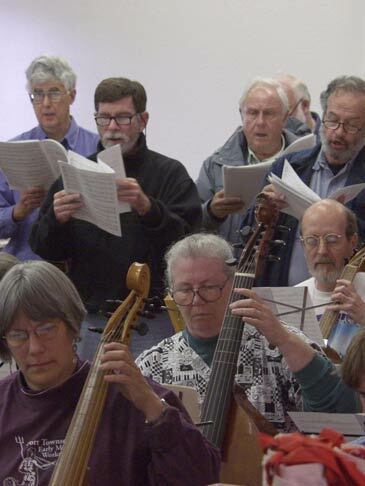 NB: There are no alto-clef parts for this class; Interested tenor viol players need to be able to read treble ottava clef (treble an octave down); all other parts are either in treble clef (at pitch) or bass clef. Exploring the expressive qualities of 16th-century instruments with settings of some of the most expressive poetry of the period. Colonna, Italy's first published woman, devoted much of her life to her faith and to the community of revolutionary thinkers (including her closest confidante, Michelangelo) who sought to express their beliefs through art and writing. The passion of her poetry inspired some of Italy's finest composers to write "sacred madrigals" that sought to embody her work in musical settings worthy of their expressivity. The intimate consonance of the Renaissance consort illuminates both the power and the delicacy of these settings. Take a chance on becoming the string player you always wanted to be. Maybe you just want to see how others do it and have a trial run at it. Frets on the fingerboard make being in tune much easier than on the violin. 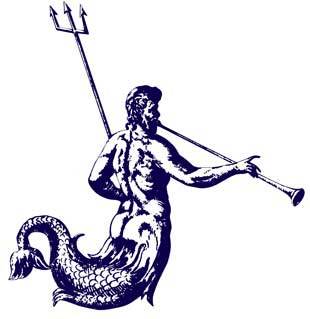 A social network of friends playing divine consort music on viols takes a nano second of training compared with our violin friends acquiring the skills for Mozart string quartets. 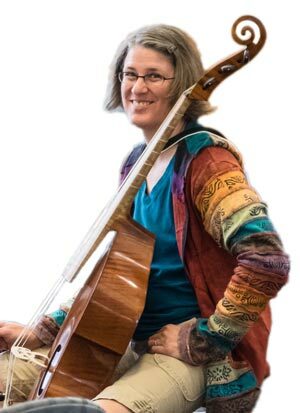 You will learn how to hold a viol, bow the strings, pluck and finger notes with your fret helpers and play tunes by the end of the week. Those who have taken the class before have sometimes had a life changing experience. In 1592, a Venetian nobleman commissioned a collection of celebratory pastoral madrigals, I trionfi di Dori ("the Triumphs of [the nymph] Doris”) to commemorate his wedding. The collection quickly became known in England and in 1601 inspired Thomas Morley to assemble a similar set of laudatory madrigals, styled The Triumphs of Oriana and dedicated to Elizabeth I. We’ll get to know some of the very finest of both sets of madrigals, Italian and English, written by composers such as Giovanni Gabrieli, Luca Marenzio, Palestrina, Alessandro Striggio, Michael East, Thomas Tomkins, Weelkes and Morley himself. 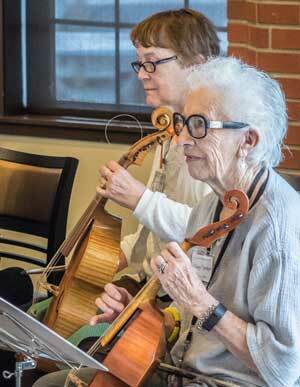 Come explore works for viol consort, and let’s add in a voice, or two, or five! Some of the most beautiful compositions include viol consort and voices. We will explore these works and dive into blending techniques, bow articulation/vocal diction, and more. There will be a strong exploration of the text and how to imitate the text with the bow. Composers will include Byrd, Dowland, Parsons, Greeves, and others. *All voice types welcome. 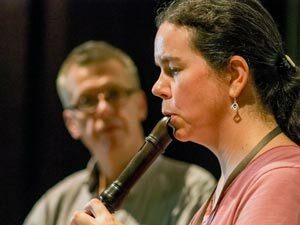 Sören Sieg has been composing African-inspired music for recorder ensembles for over 25 years and his music is played all over the world. Sieg will dive into what he calls the “sound universe” of his works, starting with rhythms to get into the groove of the music and then will work on 5, 6 and 9 part ensemble pieces. Participants will experience the vibrant joy of major tonalities and derive pleasure from unusual rhythms and various meters. Pieces to be played will include: Vitambo vya moyo, Ingxunguphalo, Celebration and Hivyo ndivyo (third movement of Wakati njema). Canons and puzzles of all kinds delighted late medieval composers and performers. We will study Machaut's "Lay of the Fountain", a cycle of canons dedicated to Our Lady. We’ll also look at a Fifteenth Century canonic mass, and some tricky Italian caccia.